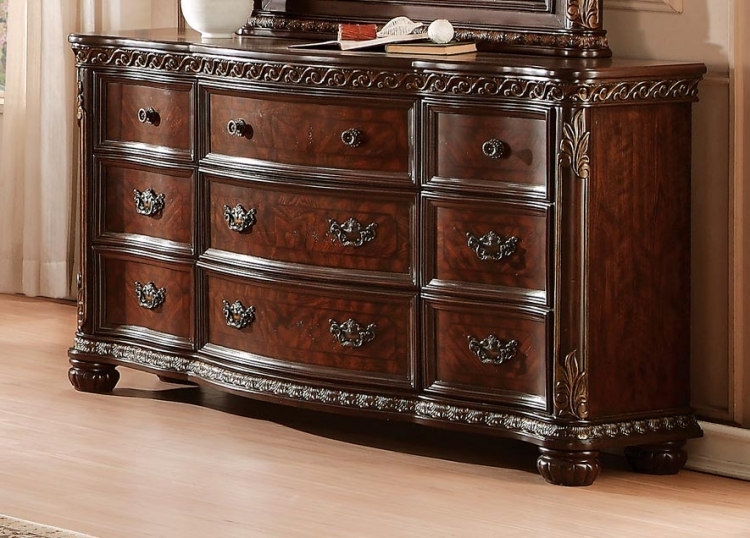 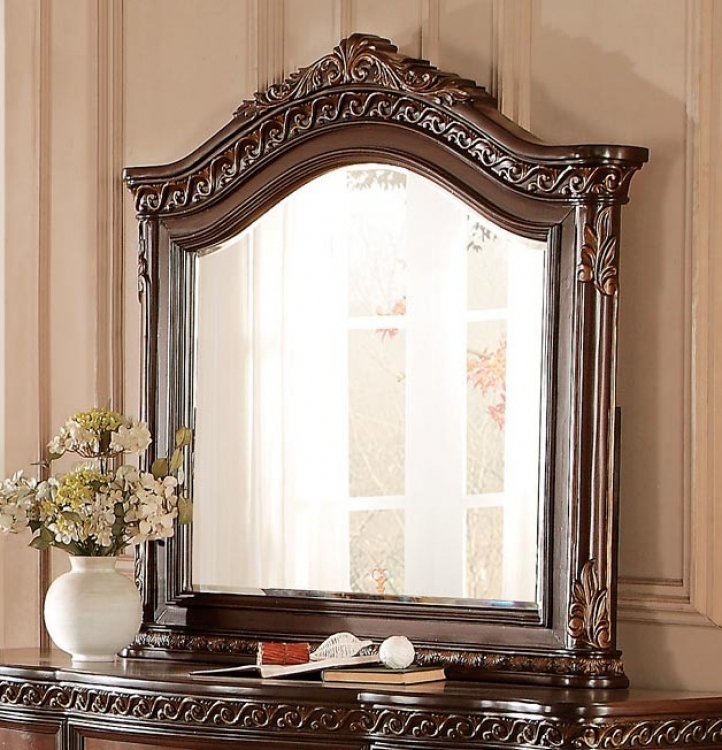 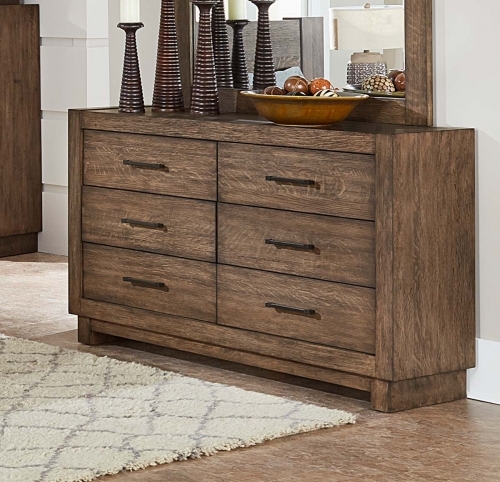 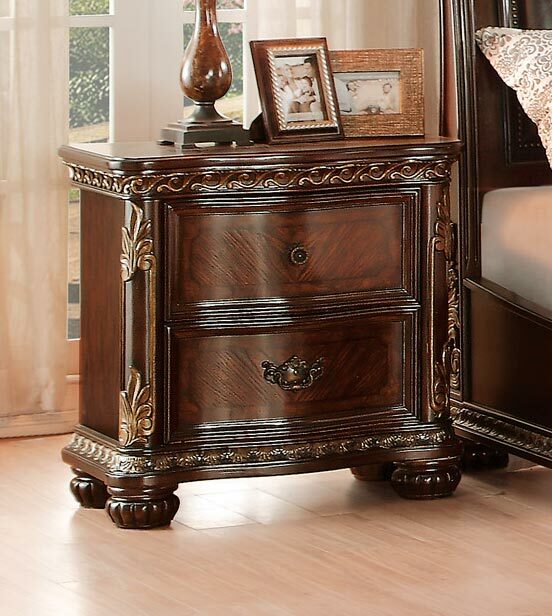 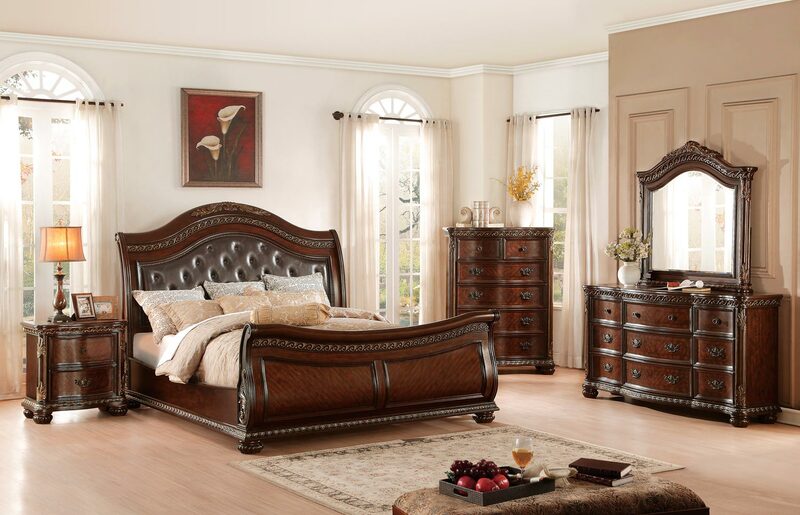 Traditional styling takes elegant form in the Homelegance Chaumont Collection. Classic design elements such as scrolled moldings, bale and knob hardware, bun feet, and acanthus leaf motif on the pilasters merge to create the look. 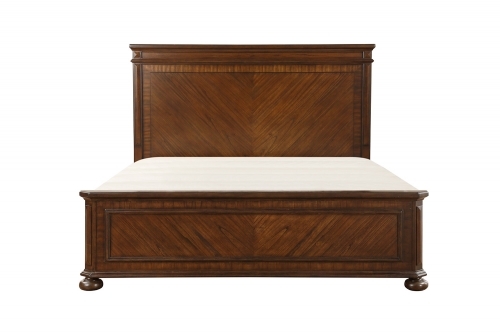 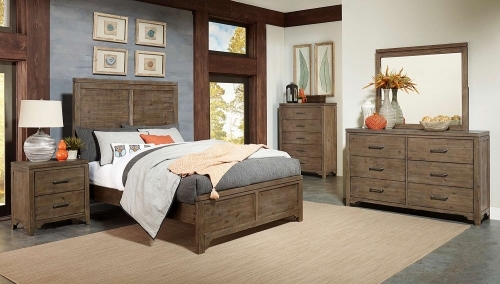 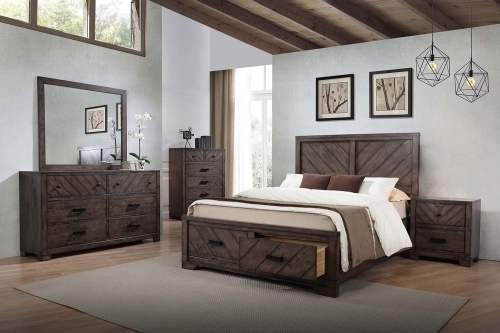 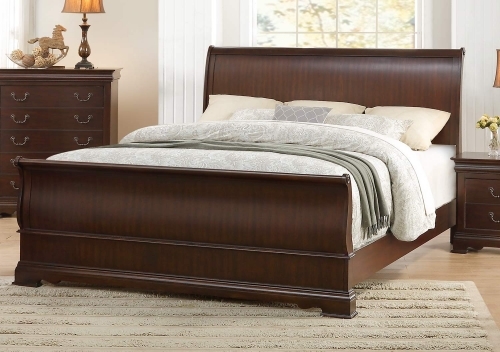 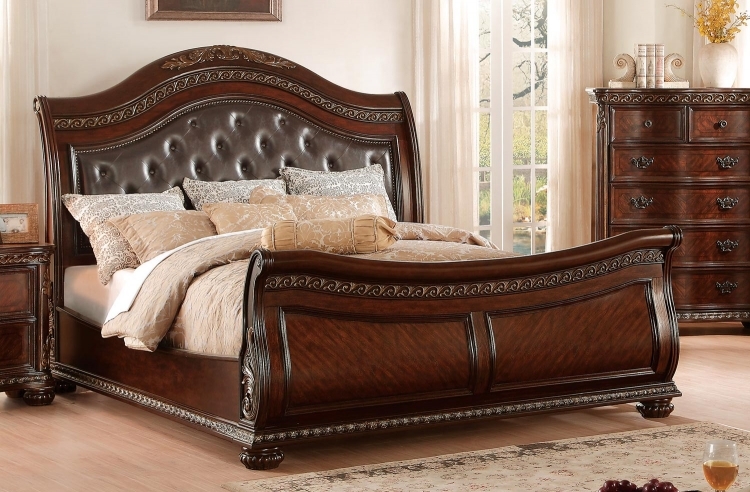 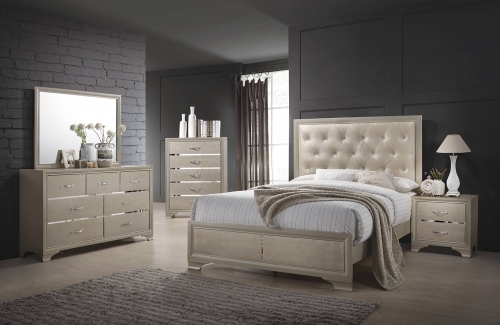 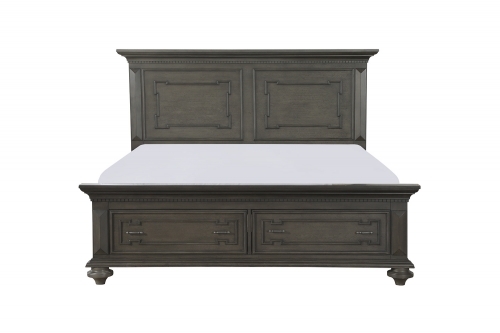 Standing as the focal point of collection is the stately sleigh bed. 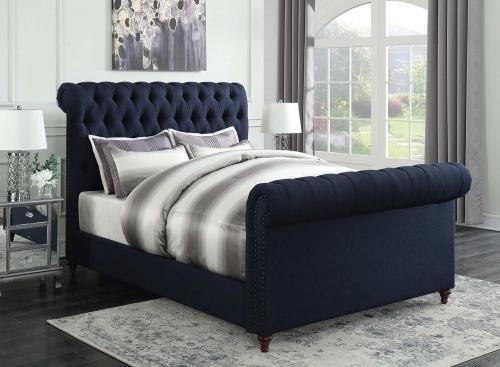 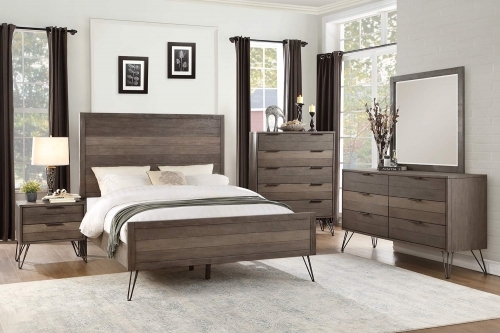 Decorative scroll molding frames and a dark brown, button-tufted bi-cast vinyl insert headboard provide eye-catching detail on this Chaumont Collection from Homelegance Furniture. 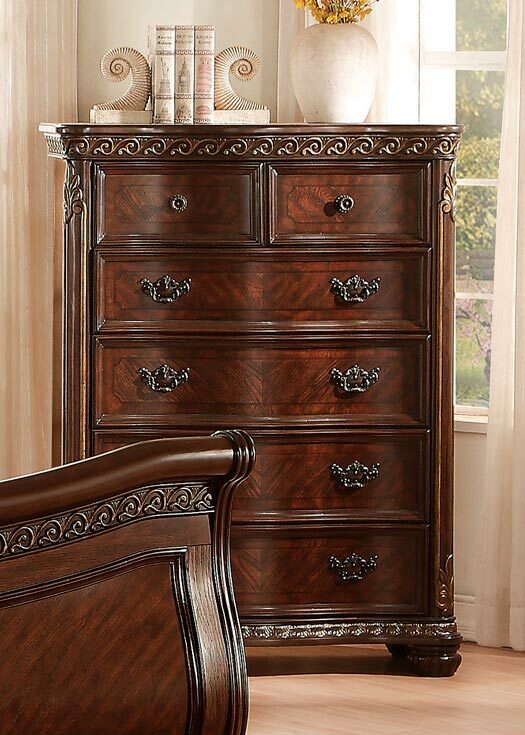 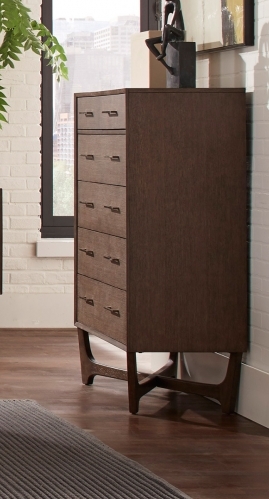 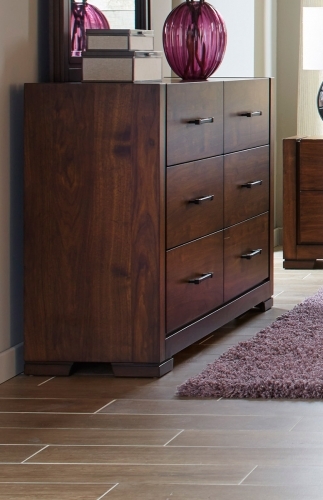 Oak and burl veneers further the traditional style as does the gold-tipped burnished brown cherry finish.